Buying a home is a major financial investment, so a quality real estate inspection in Austin is essential! Bluebonnet Real Estate Inspection Service is a complete Property Condition Inspection company, providing Greater Austin, Texas (and surrounding areas) with thorough, quality property condition inspections. We inspect Commercial and Residential properties in urban and rural areas. Every Inspection report is computer-generated on-site, at the completion of the inspection. 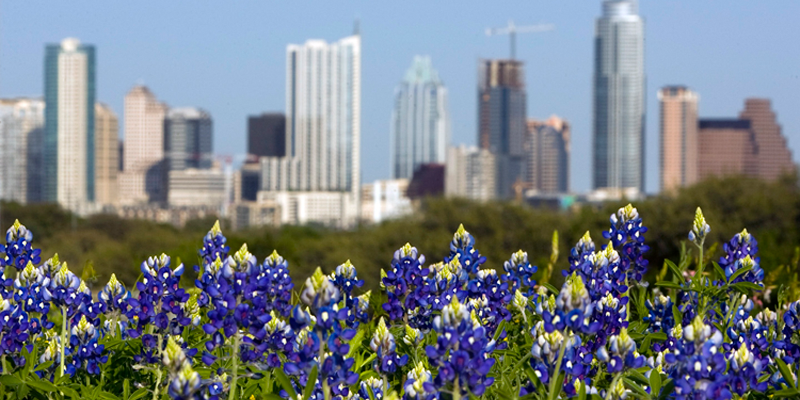 Kevin M. Ullrich is a Licensed Professional Austin Texas Home Inspector, T.R.E.C. License #965 (the lower the number, the longer the inspector has been licensed), and has been inspecting real property since 1987, and he has personally inspected over 9,000 properties during that time. He is a Registered Building Inspector through International Code Council (ICC), Charter Member of the Southern Council of Professional Building Inspectors, and Professional Member of ICC. He brings this broad-based knowledge to every inspection. The Texas Real Estate Commission (TREC) licenses and regulates Property Condition Inspectors in the State of Texas. They have established guidelines for Inspections in the form of the TREC Standards of Practice. TREC has also promulgated the Inspection Report Form on which all inspectors in the State of Texas are required to report their inspection findings. Bluebonnet Real Estate Inspection Service strictly adheres to the TREC Standards of Practice when performing Property Condition Inspections. Fees for Property Condition Inspections are competitive; all prices are based on the square footage of the structure. Additional fees are charged for appurtenances such as: outbuildings, pools, hot tubs, additional HVAC units (1 is included in fee), sprinkler systems, water wells, detached garages, pier & beam foundations, etc. Please call or e-mail us for a quote! We have very competitive prices, based on our many years of experience. The cost of an inspection is minimal, compared to the price you are paying for the property you are purchasing, and may be the best money you will ever spend. If price is your only concern in choosing an Inspector, you will find many inspectors willing to do an inspection for a ridiculously low price and, you may be sacrificing the experience factor by choosing the lowest bidder, in some cases. Before choosing an inspector, find out how long they have been in business, check their license number, ask when you will receive the report, and ask if they can do the termite inspection. When choosing an inspector, keep in mind that the inspector is typically the only person working for the buyer in the real estate transaction. A thorough, quality inspection will take time and, when completed, should provide you with peace of mind concerning the major financial investment that you are about to make. Expect to pay for and receive the experience and peace of mind that a professional, quality, and thorough Property Condition Inspection will provide for you! Call Bluebonnet Real Estate Inspection Service and let our many years in the inspection business serve you!